Ready to get started? Here is what you need to know and need to do. Information to help international students prepare to attend UNO and directions for what to do upon arrival in Omaha, Nebraska. After you are admitted, pay the SEVIS fee to the U.S. government and read the reporting requirements in SEVIS & Immigration. If you plan to live on campus, submit a housing application for Maverick Village, University Village, Scott Village, Scott Court, or Scott Hall. Students are encouraged to apply as early as possible. For additional information and to apply, visit housing.unomaha.edu. Or learn about other housing options. 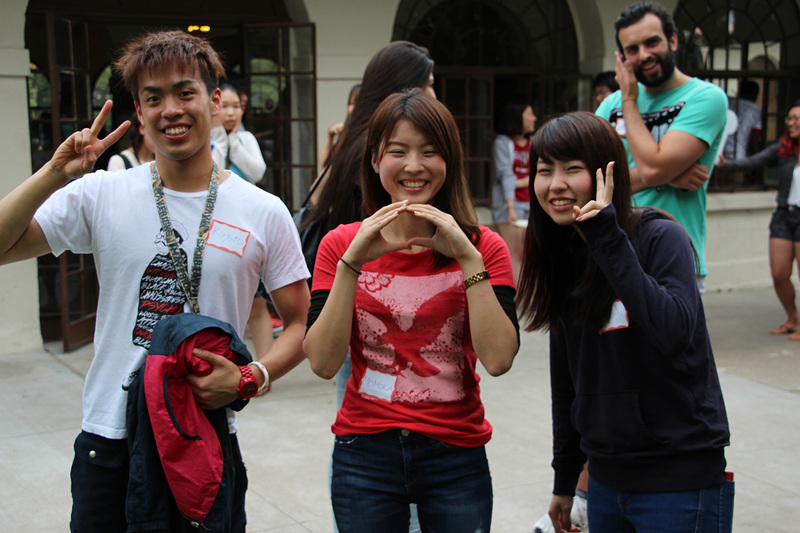 Orientation is mandatory for all new international students, including those transferring from another US school and those moving from ILUNO to UNO. If you are an ILUNO student, please go to Getting Started in ILUNO for your Orientation information. You will receive more information by email about orientation and how to sign up. All undergraduate students and graduate MBA students must take the English Placement and Proficiency Exam (EPPE). Undergraduate students may also need to take the Algebra and Calculus COMPASS placement exams. Other graduate students, and those with transfer credit, should consult with their academic advisors about placement exam requirements. As a part of orientation, placement exams are built into your itinerary. Airport pickups are available during the times indicated above and will bring students to the UNO campus. Information on how to request an airport pickup will be posted at a later date. Any students arriving before or after these dates must arrange for their own transportation from the airport. *Students who will live on-campus and arrive on 2 January must check with University Housing to be sure their room is ready for early move in. In some cases, a 1-2 night hotel stay may be needed. If you do not request a pickup, you can use a local taxi service. A taxi to UNO’s campus may cost upwards of $30. Omaha Taxi Cabs can be reached by calling 1.402.292.2222. Depending on your arrival time, you may need to stay in a hotel. UNO has rates at certain Omaha hotels. You can find a list of those hotels on the Housing and Residence Life website. Make sure you request the special UNO rate. Expect to pay about $90 to $120, including tax for your room. All UNO international students will be required to be enrolled in the UNO sponsored Health and Dental Insurance plan. Waivers will only be reviewed for students who have an active financial guarantee, a U.S. based employer plan, or ISEP or other official exchange program. For more information, please visit UNO Health Services. 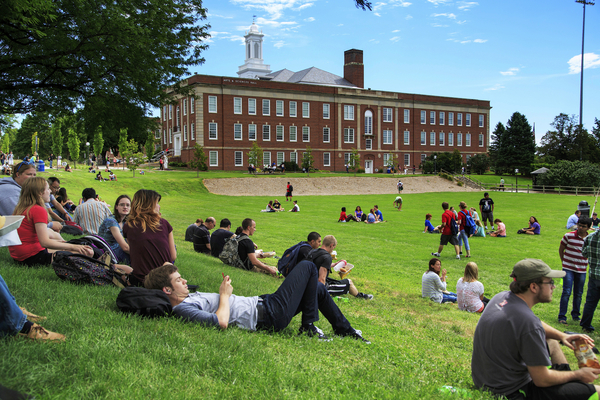 UNO requires all students, including international students, to provide proof of the Measles, Mumps, and Rubeola (MMR) immunization upon arrival and before classes begin. We recommend getting this immunization in your home country. If needed, you can get the immunization at UNO Health Services upon arrival. The cost is included in your UNO health insurance policy. If you do not bring these immunization records signed by your home country physician, you must have the first dose of the immunization immediately upon arrival. The second dose must be given 30 days later. You will not be allowed to continue taking classes if this requirement is not met. This policy includes all UNO students, intensive English students in the ILUNO program and IPD students. In addition, UNO requires all international students to do the PPD (Mantoux) tuberculosis skin test upon arrival. PPD tests will be given in UNO Health Services on Mondays, Tuesdays, and Wednesdays. You must return two days after you take the PPD skin test to complete the process. For more information, visit UNO Health Services. All students in a degree program must visit with an academic advisor to select and register for classes each semester. Your advisor will assist you in building your class schedule. Don't know who your academic advisor is? Find your Academic Advisor by College. You may contact an academic advisor about your class selection by e-mail or telephone prior to arrival. If you are unable to do this, please make an appointment with your advisor immediately upon arrival. Transfer students should bring unofficial copies of transcripts from prior institutions to the advising appointment. Choose and enroll in classes online with MavLINK. Your NU ID and password are needed to enroll in classes. Check the earliest date you can register and view class schedules by logging into MavLINK. Read more about course registration at registrar.unomaha.edu. Your eight-digit NU ID number and password, established during the application process, enable you to access many online services at UNO and to log in to MavLINK. All students enrolled in classes at UNO have a gmav email account. Important academic and business information including your Student Accounts billing statement are e-mailed to students. You will also receive important e-mails from International Admissions and Advising. To learn how to access and use your UNO gmav account, go to mail.unomaha.edu. If you are currently enrolled in school, please request a final transcript after you have finished your final courses and bring it with you to UNO. This is an important SEVIS requirement. Please bring your immigration documents to our office upon arrival so that we can photocopy them. This includes your Form I-20 or DS-2019, passport, visa, and Form I-94. We will also need your local address. 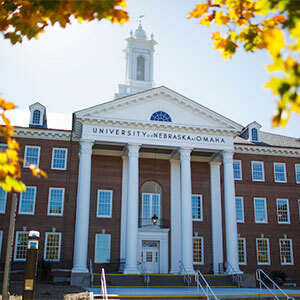 Students transferring from another school or changing programs at UNO will need to make an appointment with an international student advisor within 15 days of the start of classes to get a new form I-20. The International Advising office is located in Arts & Sciences Hall 241. After you have enrolled in classes and arrived on campus, you should get your MavCARD, which can be used for accessing parking garages, checking out items at the library, purchasing food or copy services, and receiving discounts at merchants that cater to students. MavCARDs are issued in the Business Office on the second floor of the Milo Bail Student Center. Bring your passport or other photo identification with you. Learn more about MavCARD Services. If you are enrolled full-time, hold an F-1 or J-1 visa, and have an on-campus job offer, you can apply for a Social Security number. New international students who recently entered the U.S. with an "initial" form I-20 must wait at least 10 days from the date of entry to apply for a number. A receipt from the Social Security office is required to begin work. In addition, new students must be registered in SEVIS for at least 48 hours before going to the Social Security office. Students must present proof of a job offer from a UNO employer in the form of a letter written on university letterhead, and a letter authorizing such employment from an international advisor. Expect to wait two days for the letter after requesting it. The Pre-Departure Packet is your guide to everything to you need to prepare for your arrival! Download, read, and print a copy to carry with you while you travel.